Couples walk into a therapist’s office with their emotions already stirred up. They are experiencing the right-brain activation that is nature’s way of offering them an opportunity to heal each other. Two-day intensive trainings are offered once per quarter for mental health professionals. Stay tuned, we’ll be announcing the next one soon! Small group and individual consultations for mental health professionals who want to learn and continue to develop their skills as couples therapists. Presentations for either professional or lay audiences about any aspect or application of Neurodynamic Couples Therapy. The Book: Why Are You Driving Me Crazy? "Nature has provided us with brains that are programmed to choose a mate who will drive us crazy." 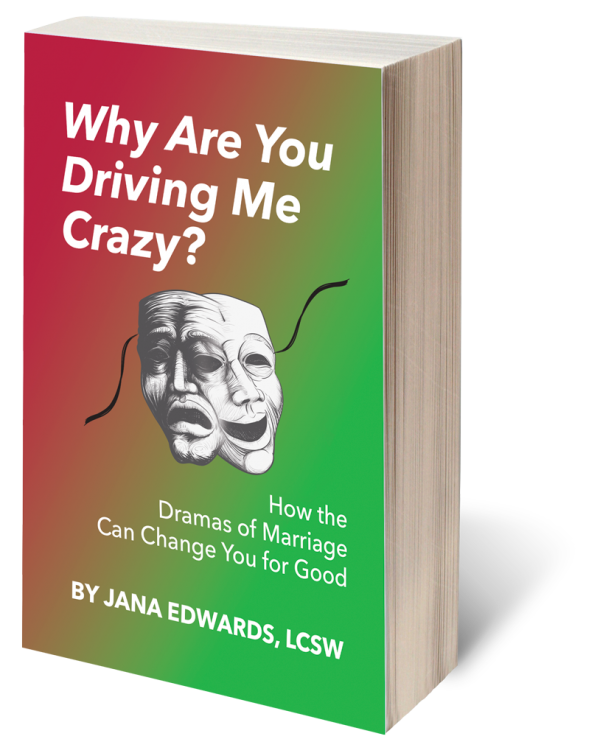 Author Jana Edwards brilliantly makes the case that the "crazy-making" we experience with our spouses is the best way to achieve positive, permanent change in our lives.